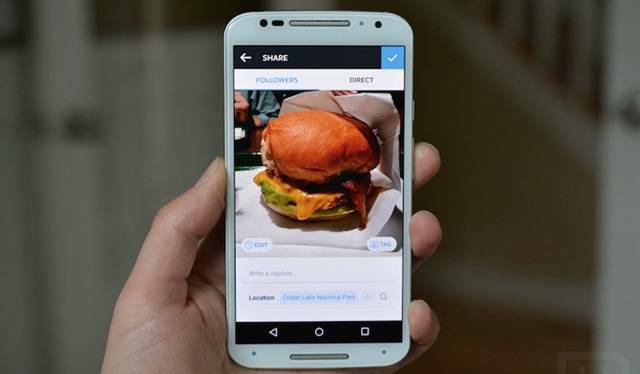 Android Reborn – Are you using Instagram on your Android? If so, have you ever felt in the need of copying captions or comments of the photos? Sometimes, we do need something like this. Unfortunately, Instagram app does not feature long tapping to copy the text. So, you must use other way of how to copy captions & comments on Instagram app. Since we are on the topic, let us tell you one way you can try here. You don’t need the help of other apps to do the job for you. All you need to do is to make use of other things featured in Instagram app. To copy captions from the Instagram photos of your own, here are the steps to follow. Tap Menu button and select Edit on the photo. Highlight the caption and tap Copy button. Tap Back button once you are done. The procedure above can be followed if the caption you want to copy is from your own Instagram photos. Of course, it would be different to copy the caption from others’ Instagram photos. Here are the steps you need to follow instead. Select Copy Share URL on the photo. Paste URL on browser app. Highlight and copy the caption. Copying photos’ captions and comments on Instagram sure is easy, isn’t it? There is nothing to be confused about when you are dealing with Android and its applications. Instagram itself is made as helpful as it can be to serve your needs. You see it yourself from here. Even when you can’t copy caption in common way, there are still some ways for you to follow instead.